File this one under super random partnerships: Luxe watch label Hublot is leaving Switzerland behind to become the official watch and timekeeper for the Dallas Cowboys. This means Hublot clocks will adorn the walls of the stadium and will conduct the official countdown to kickoff on the jumbotron. And we assume each player on the team will be getting at least one of the three custom and limited edition Dallas Cowboys watches that come along with the partnership. However, these aren’t your average piece of team spirit paraphernalia; each watch will come in hues of silver and blue, and the ladies will get lucky with a few diamonds set in their timepiece. But really, if there’s anything that could get us into sports, it would definitely start with a shiny timepiece. Thanks for finally talking about >Random Alert! 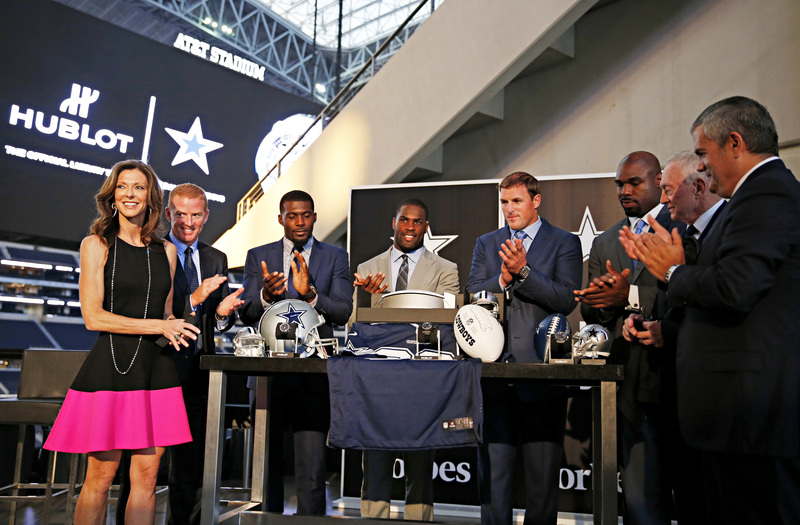 The Dallas Cowboys And Hublot Are A Match Made In Watch Heaven <Loved it!